Foraging, at its most basic level, is the act of finding and harvesting wild foods. Some people may simply call it "gathering." Foraging most commonly refers to going mushroom hunting, something only people practiced in the fine and delicate art of mushroom identification should engage in. 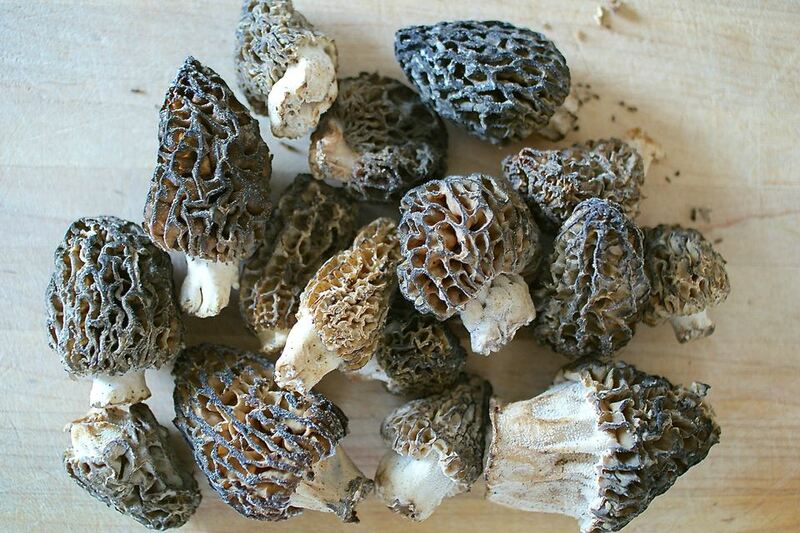 Foraging can involve hiking in the mountains to search for elusive morels, heading out to the local (pesticide-free!) park to pick dandelion greens or even picking apples from the branches of your neighbor's tree that hang over into your yard. Asparagus (wild) looks like a thinner, grassier version of the domesticated version you'll find at markets and grows in the spring and early summer. Berries of all kinds grow wild in the summer, notably blackberries, blueberries, and raspberries. Lesser-known berries such as huckleberries and salmonberries are local delicacies that are only available by foraging in the right area. Dandelion greens should be picked well before the plant flowers. Wild dandelion greens are smaller than ones grown for sale, just be careful to only pick them in areas you know haven't been treated with pesticides. The younger greens of spring are the best. Dill has delicate fronds and should be used quickly after being picked. Edible flowers such as nasturtiums add color and flavor to salads; as with other wild plants, make sure to gather them only from areas you know to be pesticide-free. Edible Weeds include dandelion greens and purslane. Fennel grows wild in temperate areas and you can harvest both the leafy fronds and the anise-flavored bulb underground. Fiddlehead ferns are the curled fronds of the ostrich fern that are foraged in the early spring. Nettles grow in damp, shaded areas in the spring. Be sure to wear long sleeves and gloves when you harvest these stingers. Nuts of all sorts can be gleaned in the fall if you know where to find them. Plums come in many varieties. Plums on a single tree tend to ripen almost all at once, so if you find a wild plum tree with ripe fruit in the late summer or early fall, you're likely to find a lot of it. Purslane, like dandelion greens, is often considered a weed but is a spring-time delight that makes a delicious salad. Ramps are wild leeks with a delicate onion flavor that grow, like so many other greens, in the spring. Of course, foraging all depends on location. In Minnesota, one can forage for wild rice. In Florida, mangoes are forageable. In New Mexico, pine nuts grow wild. Different nuts grow wild in different places. Foraging has also come to mean the gathering of free, but not wild, food from less traditional spots. Parks, abundant fruit trees (with the owners' permission, of course), and public land may not be as picturesque as the forests and meadows we may imagine with the foods above, but they can be just as abundant with fresh foods.